Free high resolution photo of lichen on a rock face. 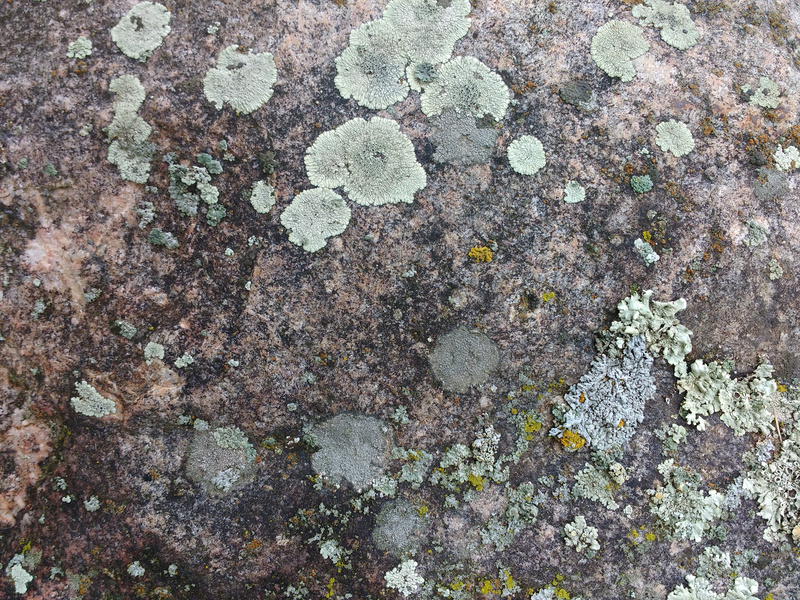 This picture shows a granite rock face with a variety of green, gray, and yellow lichens growing on it. Lichen is an organism comprised of algae, bacteria, and fungus. It generally grows on rocks, trees, or other surfaces. Great background, wallpaper, or texture image for a website, blog, computer, phone, scrapbooking or Photoshop. Free image for any use.